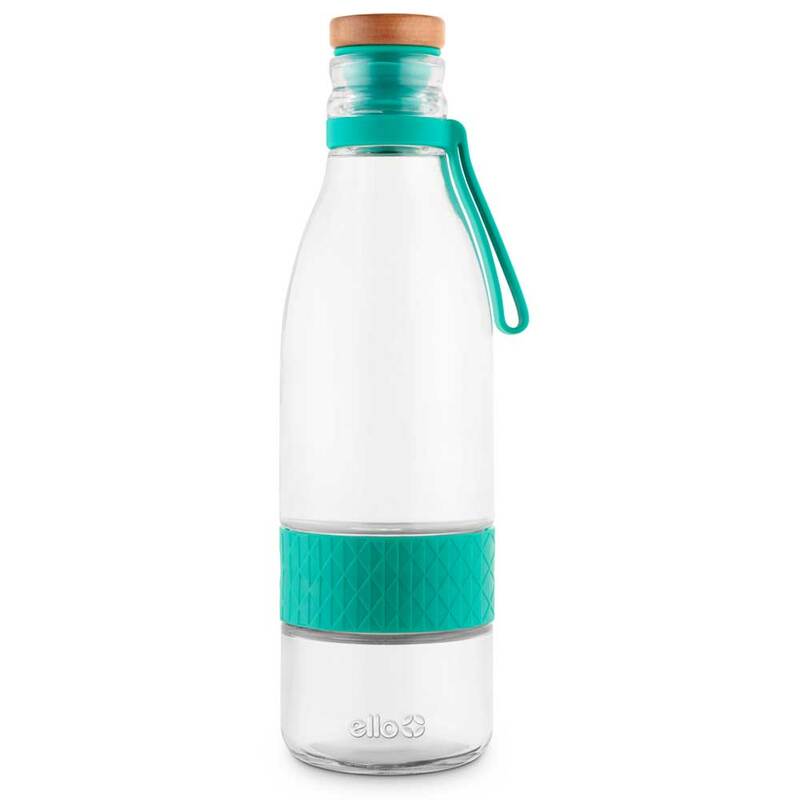 The Ello Pure Glass Water Bottle is made of clean-tasting glass that won't leach, stain or smell. 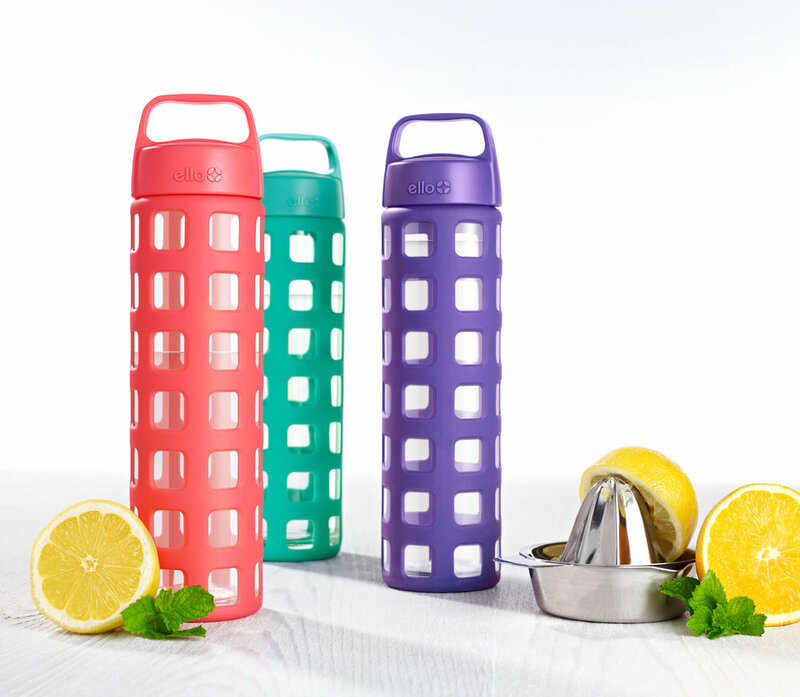 Pure’s threaded lid lets you drink directly from glass, not plastic. 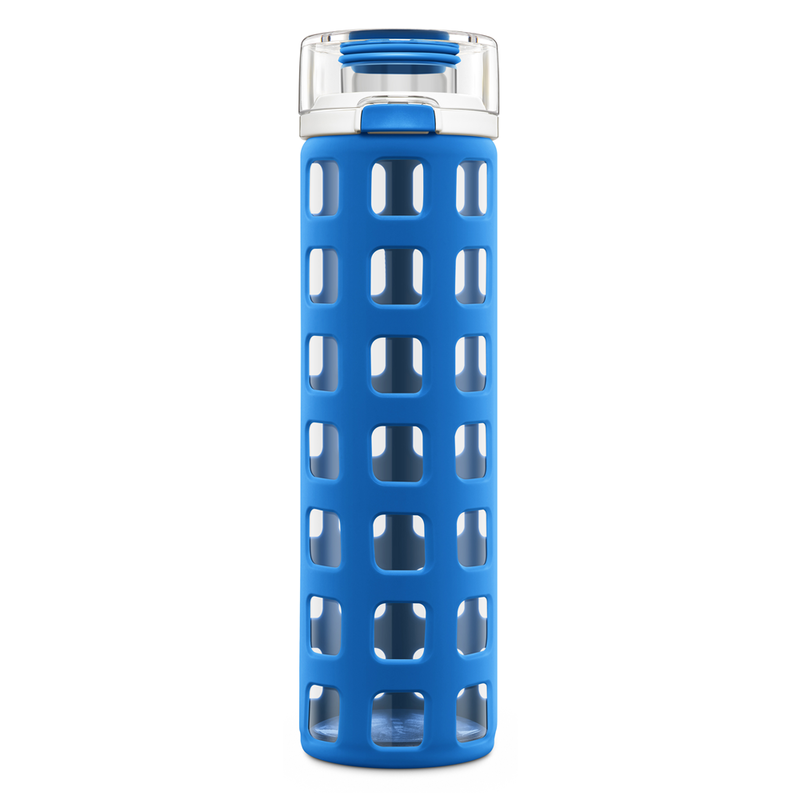 An FDA food-grade silicone sleeve protects the glass and provides a no-slip grip. Everything tastes better in glass!